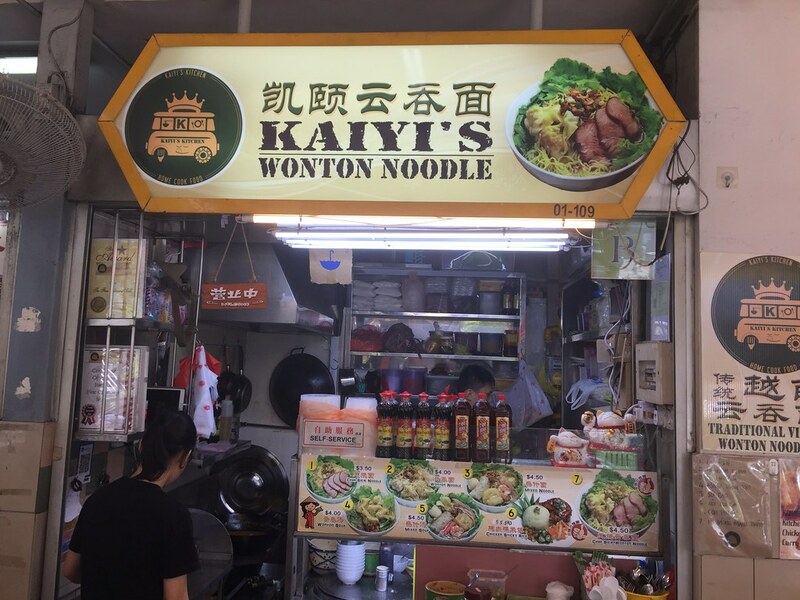 Located at the corner of Golden Mile Food Centre on level 1, facing the main road is Kaiyi's Wonton Noodle stall that sells traditional Vietnamese wonton noodle. What exactly is the difference between our local wanton mee and the Vietnamese version? To find out the different, we got a bowl of Char Siew Wonton Noodle ($4.50). 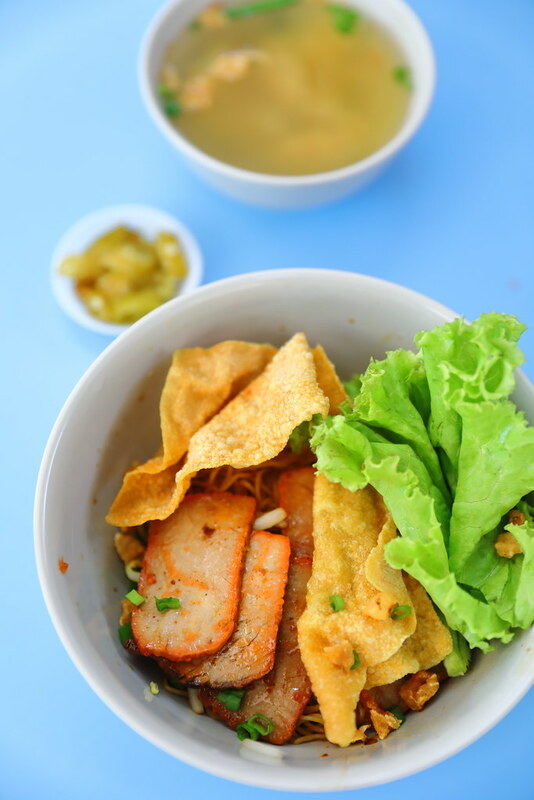 The bowl of noodle comes with slices of lean char siew, fried wonton and lettuce. The noodle is that those springy type, a bit like our mee kia with a bite. It is tossed in a dark sauce which I found it rather light for local palate. We had the spicy version which I have to applaud the stall owner for making it from scratch. However it is way too spicy, throwing the balance off. Beside the noodle we also ordered a bowl of Wonton Soup ($4). 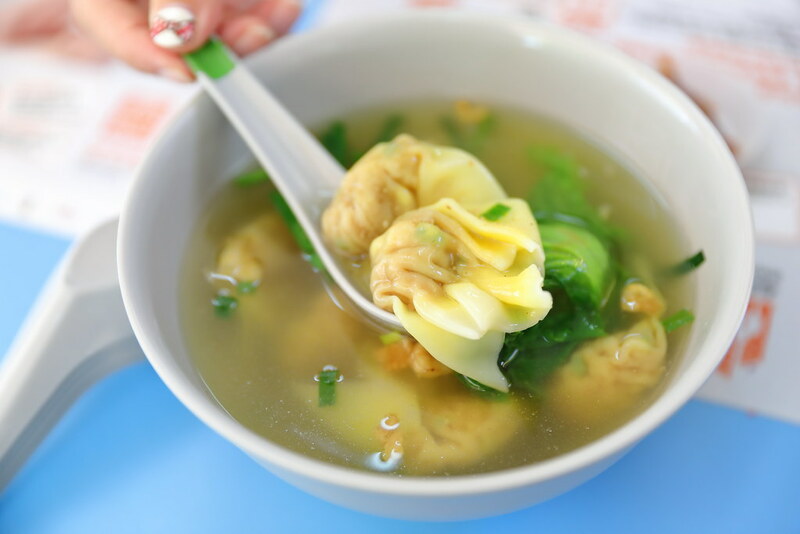 The plump wonton has more vegetable to meat stuffing, giving it a more crunchy meat. However I thought the seasoning was a bit heavy with the the pepper. 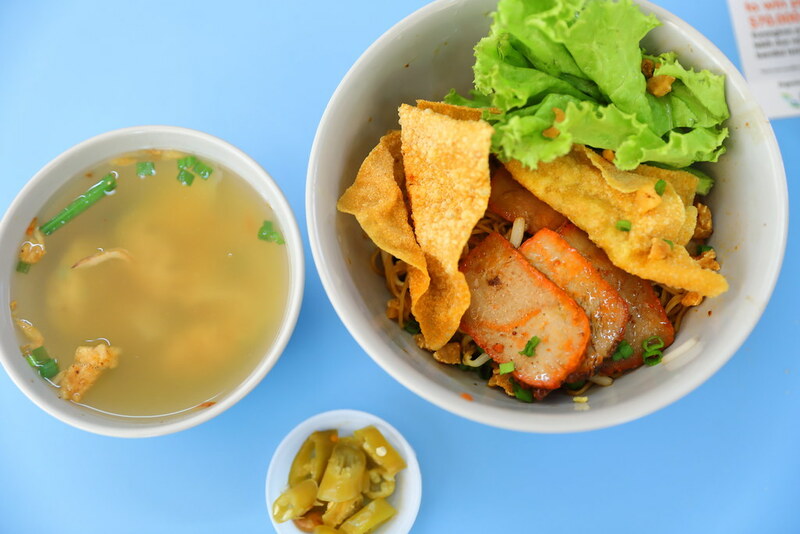 Besides the Vietnamese style waoton mee, the stall also sells a variety of noodle and rice dishes. 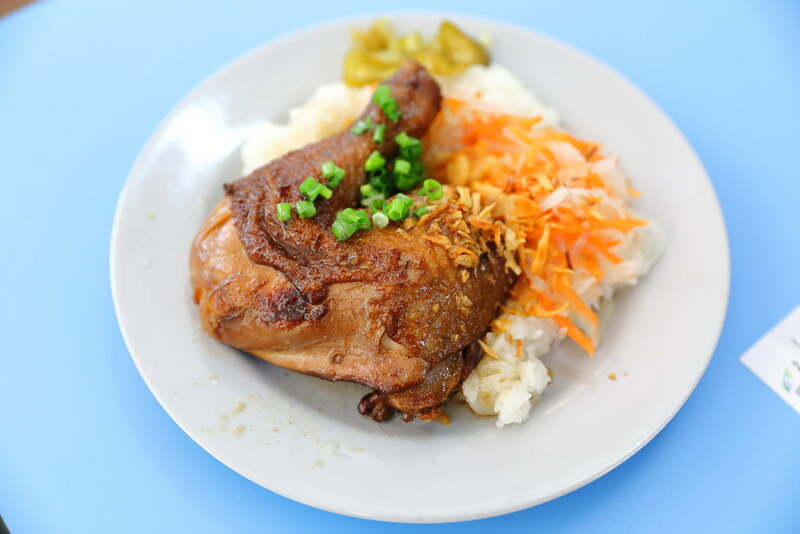 A value for money dish is the Chicken Sticky Rice ($5.50). For the reasonable pricing, the plate of rice comes with a whole chicken leg that is braised to an enjoyable tender texture. 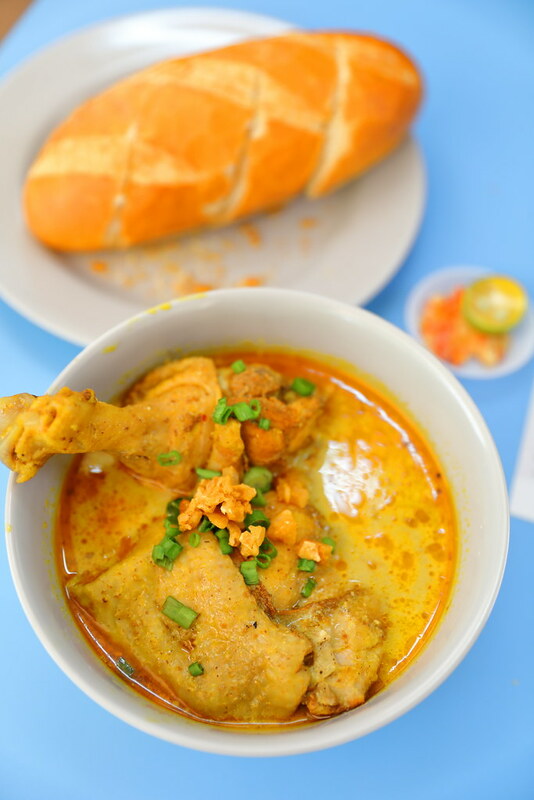 The other chicken dish we tried is the Chicken Curry which comes with 2 huge pieces of chicken. However the Vietnamese curry is not those lemak type and it is actually sweet. It is not the usual curry that we are used to. It may take quite a bit of effort to win over the local palate. For me the star at Kaiyi's Wonton Noodle is actually their Banh Mi ($5.50). 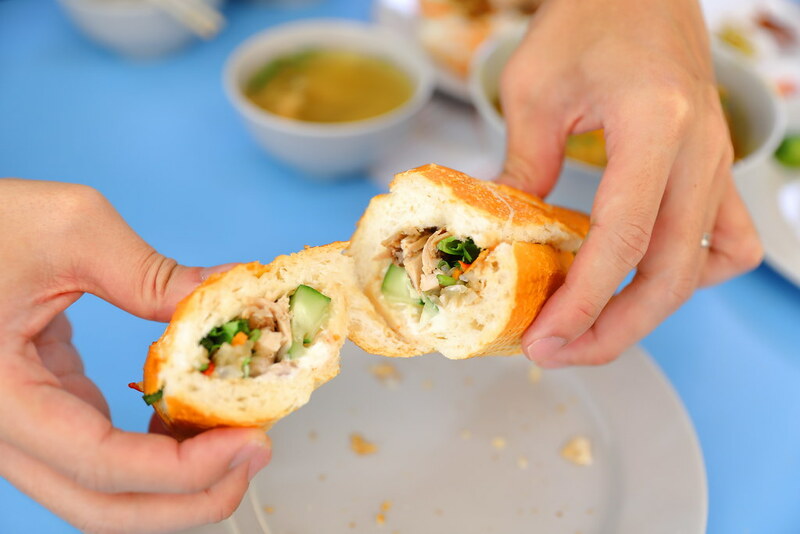 The Vietnamese style sandwich roll. Unfortunately this is only available on Fridays at the moment. The best Banh Mi I had exactly is from Melbourne, Lee's Bakery. I have not find something close until I tried Kaiyi's version. The baguette made with a mixture of rice and wheat flour is extremely light and crispy. It is already so good on its own, imagine when we stuffed it with all the flavourful ingredients. Freshly put together, you can find carrot, cucumber, pickle, chicken, chilli, mayonnaise and cilantro sandwiched in between. You get a firework of flavours and different play of textures with each bite in to the banh mi. Sadly the stall closed down about Oct. 2017. I ate a few times there. Her food was good. But I was put off by what looked to me like a shower cap she always wear. Maybe others were also put off by it. She should have used a nice white cloth cap like what cooks use.